Two women came before King Solomon. Both had given birth on the same day, three days before, but the first woman’s baby had died. Now the women were fighting over the living baby. King Solomon decided that the best way to figure out who would keep the child was to tell the women the baby would be cut in half. One half of the child would go to the first woman, and one half would go to the second woman. The true mother of the baby, the birth mother, cried out to the King. She would relinquish her rights to her child, to save his life. King Solomon, who is often referred to as the wisest man who ever lived because God blessed him with unsurpassed wisdom, saw the passion of the birth mother, and he did the right thing. He gave the baby to his own mother, the one with the selfless love, the one that would rather surrender her baby than see him die. King Solomon had no intention of hurting the baby. He had no intention of giving the baby to the more “deserving” parent. He just wanted to identify the true mother of the child. The woman who gave birth to the baby. It was a clever ploy. When I think about recent cases in the media I can’t help but think of the shocking similarities with King Solomon’s story. You have two women, one is the true mother of the child, one woman is so desperate for a baby that she is willing to steal the child of another, no matter the consequences to the child, or the child’s true mother. I wonder if King Solomon thought about what kind of mother a woman who steals another person’s child would make? Maybe that’s part of the reason he wanted to be absolutely certain he was returning the child to his mother, and not the crazed woman who attempted to kidnap the child. The Bible does speak favorably on adoption. Think of baby Moses in his basket, (Exodus 2: 1-10) swept down the river, and adopted by the Pharaoh’s daughter. He obviously went on to do amazing things in the name of God and eventually returned to his natural family, the family of his origin. Esther, (Book of Esther) who was adopted by her cousin, was also a tool of God. But in almost every circumstance of ordained adoption in the Bible, there was a life or death situation that led to the adoption. Moses’ mother faced the reality that her son would die if she didn’t send him away. Esther was an orphan. Both of her parents were dead. God still chose to keep her in her family, and she was adopted by her cousin. The Bible only shows support for adoption of true orphans, or in the case of extreme circumstance. You will find infertile women in the Bible, (Hannah and Sarah are two examples.) but nowhere in either of their stories does God tell them to take the baby of another woman, let alone forcefully take a baby from its mother. Adoption is a wonderful way for a child, an orphan in genuine need, to find a loving home. It should not be used as a tool to separate a child from the loving embrace of his mother. Job laments the truly wicked, and part of his description of the behavior of a damnable person is, “The fatherless child is snatched from the breast; the infant of the poor is seized for a debt.” (Job 24:9) Someone who would take a defenseless, fatherless child from the breast of his mother, in exchange for money owed is listed as one of the many horrible and evil things a person might do to deserve punishment from God. He also mentions people who “drive away the orphan’s donkey and take the widow’s ox in pledge. They thrust the needy from the path and force all the poor of the land into hiding.” (Job 24:3-4) Clearly bullying and harassing single women and their young children, the meek and defenseless, is considered a detestable act. Other comparable sins he mentions in the same chapter are theft, murder, and adultery. And how does God handle those who harm children? Those who would steal a child from its family? 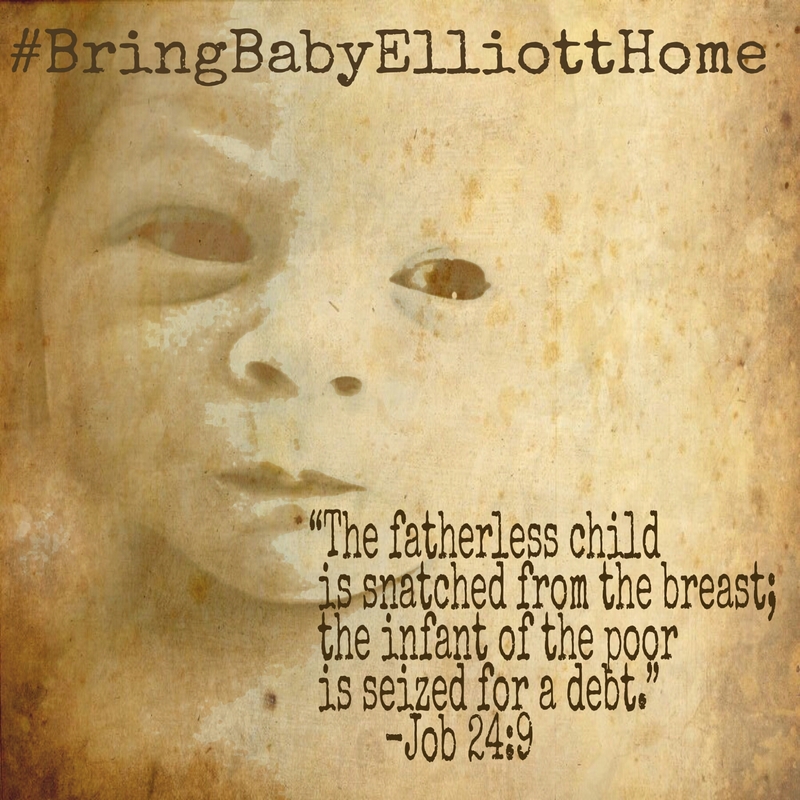 Exodus 21:16 says, “He who kidnaps a man, whether he sells him or he is found in his possession, shall surely be put to death.” How much harder will the Lord come down on someone who would kidnap one of his fatherless children?